Dover Harbour Board has appointed shipping industry veteran Doug Bannister (pictured above) as its new chief executive. 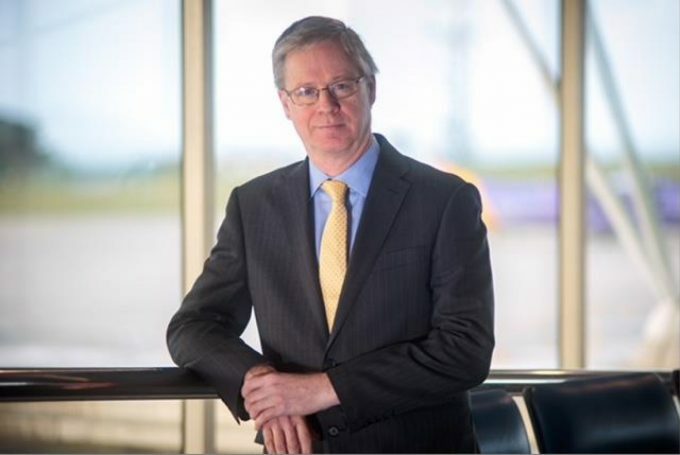 Mr Bannister, currently group chief executive of Jersey Airport and Jersey Harbours, is due to join Dover on 1 March next year, less than a month before the Brexit deadline and when the UK’s most import trading link with continental Europe is expected to come under levels of scrutiny it is unlikely to have experienced before. Richard Everitt, Dover Harbour Board chairman, said: “After an extensive search I am very happy to welcome Doug and his family to East Kent. He joins at a challenging time for the port and its key customers. Prior to his move to the Channel Islands, Mr Bannister formed liner consultancy Box Trade Intelligence and had been managing director of the Maersk Line’s UK operations following a long career at P&O Nedlloyd. “I am very pleased to be given this opportunity to advance the success of the port of Dover in what will be a challenging chapter in its rich history – I am looking forward to working with the team, our customers and stakeholders,” he said. Alongside the looming challenge of Brexit, Dover is also undertaking its biggest ever single investment, the £250m Dover Western Docks Revival, which will see the relocation and development of its unitised and general cargo business with a new freight terminal and distribution centre and the creation of greater space within the Eastern Docks for ferry traffic. Last year the port handled around 2.6m freight vehicles.